I went to the Goodwill Outlet the other day and found this super cool Polaroid Big Shot. It's a single focal length instant camera. Only takes 75 ASA film. It was a dirty and grimy, but it was clean inside. I bought it for about 25 cents. Brought it home, cleaned it up and got it looking good. 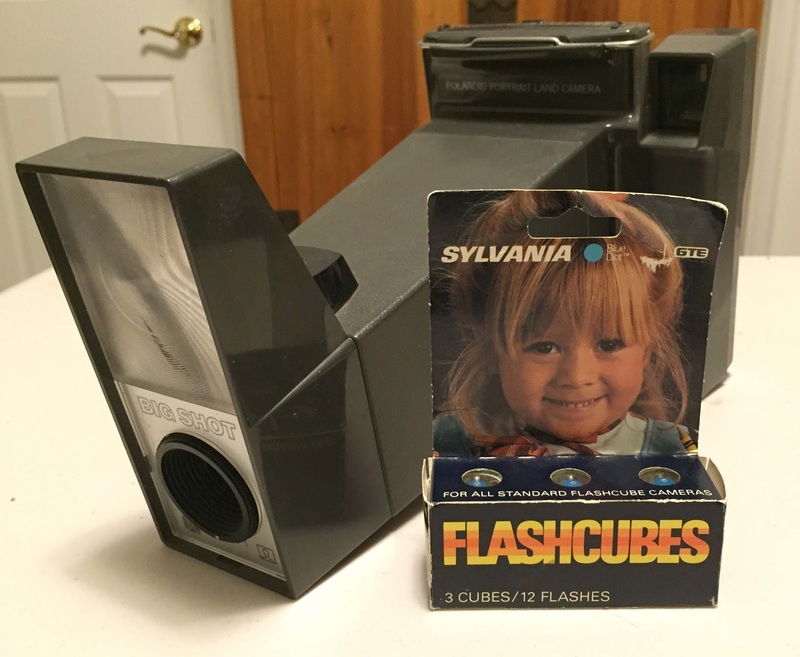 Also, I also found an unopened box of Sylvania Flash Cubes. Perfect, they go together. Film is still made of the camera. You can use Fujifilm FP-100C which is readily available. Here's a YouTube video on the camera from The Film Photography Project. Guess what, I'm going to use this camera during my upcoming model shoot for behind the scenes shots.